Appointed in 2009 as the inaugural Vice President for Inclusion, Diversity and Equal Opportunity at Case Western Reserve University, Marilyn Sanders Mobley, PhD, provides strategic leadership for the university-wide effort to develop and sustain a welcoming environment for faculty, students, staff, and alumni. She is a member of the Leadership Cleveland Class of 2010 and serves as a trustee for the Cleveland Institute of Music, the Cuyahoga County Public Library Foundation, and Women of Hope. She was also selected to chair the Breakthrough Charter Schools Diversity Committee and was recently selected to serve on the board of the National Association of Diversity Officers in Higher Education. 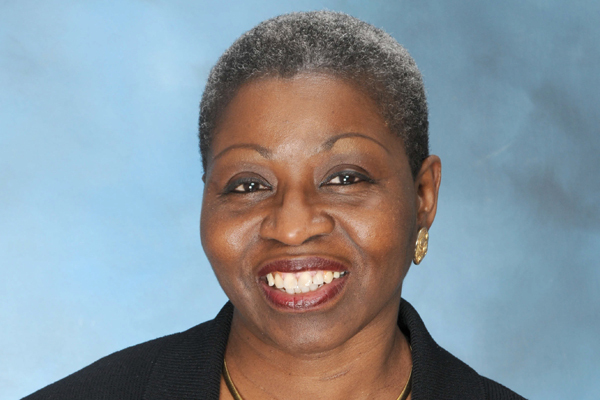 Prior to her appointment at CWRU, she served as Provost at Bennett College for Women in Greensboro, North Carolina. Prior to her provost appointment, she was the Associate Provost for Educational Programs at George Mason University and a tenured Associate Professor of English, where she was also a faculty member for 19 years. Dr. Mobley also founded the African American Studies Program at George Mason and served as its first director for six years. She is a published author and Toni Morrison scholar, whose first book— Folk Roots and Mythic Wings in Sarah Orne Jewett and Toni Morrison: The Cultural Function of Narrative (LSU Press, 1991)—was one of the first cross-cultural studies on the Nobel Prize winning author. Her two books in progress include Spaces for the Reader: Toni Morrison’s Narrative Poetics and Cultural Politics and The Strawberry Room, And Other Places Where a Woman Finds Herself, a memoir about the passage from family trauma to spiritual recovery. Dr. Mobley is a member of Delta Sigma Theta Sorority, Inc, and is the proud mother of two adult sons and grandmother of three grandsons. She serves as a lay minister at Arlington Church of God and resides in Akron, Ohio. A CWRU superstar! Thank you Marilyn for highlighting the diversity tensions and accomplishments. Very proud to share life as Marilyn’s brother and as her friend.Excellent presentation! Scholarship equips and enhances a person’s ability to see and transmit a noble but unfinished vision of what our world might become. Dr. Mobley is a beautiful example of the intent of the Academy – to equip minds with understandings capable of enriching lives and creating healthy and caring communities! So proud of her!